Are you in the market for a new tablet, or thinking about buying one for someone for the upcoming holiday season? 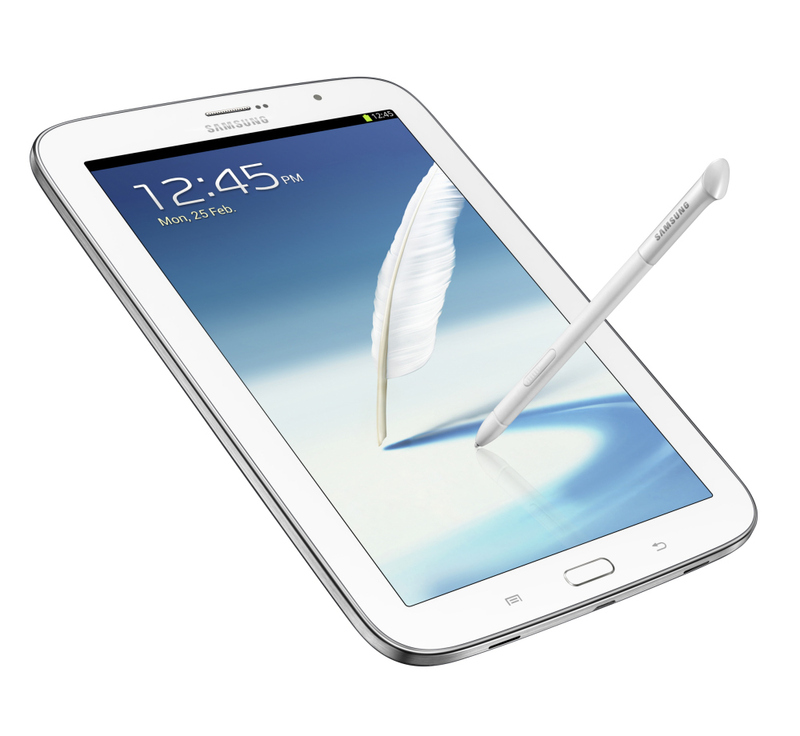 I am, which got me to thinking of which of the best tablets on the market to consider buying. After reviewing a few general online reviews with facts and numbers that were of a different language to me, I decided to cut through all of the statistics, meet face to face with people and determine what tablets suit my lifestyle that also provide the most amount of value. Although my search isn’t quite over yet (as you’ll find out why later) I’ve summarized four tablets that I found provided the most amount of value from my research, and the type of people would enjoy them the most. 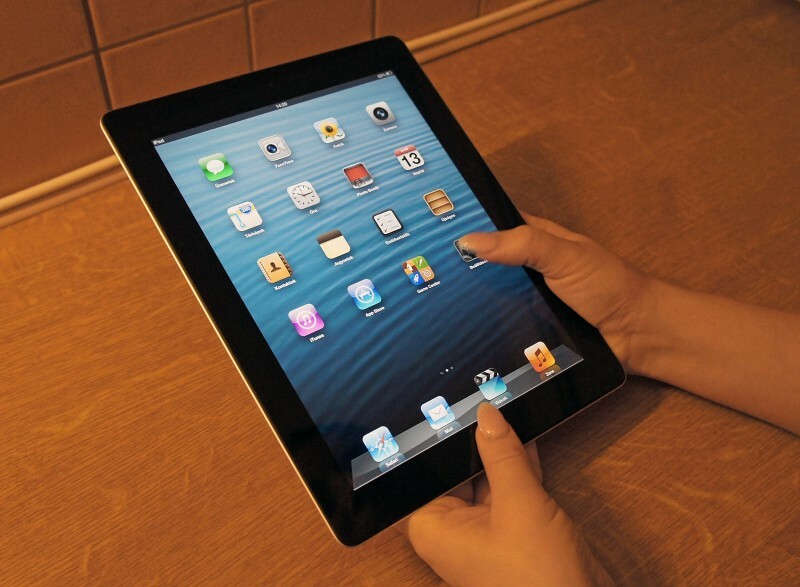 If you’re also shopping for a tablet, be sure to re-check prices, as they are always subject to change. This tablet is my number one choice as far as small tablets go, with its 7 inch screen and not so small 16GB in RAM. The display on the Nexus 7 is fantastic, and it is not a challenge to watch movies or videos for its size – you just end up holding the tablet closer to your face. The Nexus 7 likely has the best battery life for any tablet on my list, which makes it quite reliable for long car rides or while on the go. The tablet uses Android’s 4.3 Jellybean operating system, and has the Google Play store which provides an endless amounts of apps to keep you entertained. For the price and quality of product, this is great everyday tablet for anyone that likes small tablets or a tablet for kids whose parents don’t want to pay an arm and a leg for an iPad mini. The Samsung Galaxy Note 8 is great for people who want to use the equivalent of a pen to draw and interact with the screen, as the Note 8 comes with a stylus interface. The interface has all the highly reviewed shortcuts and huge collection of software features that you find on other Galaxy phones and tablets. Smart Stay is also on this version of the tablet, which turns the display off when the camera on the tablet does not detect your eyes, which helps cut back on unnecessary battery use. This tablet only makes sense if you happen to have AT&T and if you are looking for a tablet for 2 years, as the cost of the tablet with a 1 year contract will cost about $500 and a 2 year contract runs $400. That may be subject to change soon, so keep your eye on this one for the holiday season. If you’ve been a previous Blackberry user, and use tablet for any sort of work purposes, this may be a top contender. Whether or not you’re a die hard Apple fan, it’s hard to go against the company that practically invented the tablet. The screen resolution is slightly better than previous models at 2048 x 1536, and they claim that the battery life is 10 hours – which probably means that its 6 for the way everyone uses tablets. The downside of it is that it has a new port, which is only compatible with other apple products, and it seemed that the iPad 4 was put out so other Apple products as well as Sprint could get on the same page. If you have the iPad 3, there isn’t any need to upgrade, but if you’re looking for a new iPad, the speed and screen quality alone make the cost difference worthwhile. Be sure to consider the iPad mini as well, as the cost is lower and you might like the smaller more compact version more. Just like all Apple products, the goal is to create a great end to end user experience, which is what this tablet does. If you already have a wide range of Apple products that you enjoy using, this tablet is surely for you. The exterior of the Nexus 10 is rubbery and plastic, which I thought would be a major turnoff, but it makes the tablet durable enough to not need a case and still has a sleek look and feel. 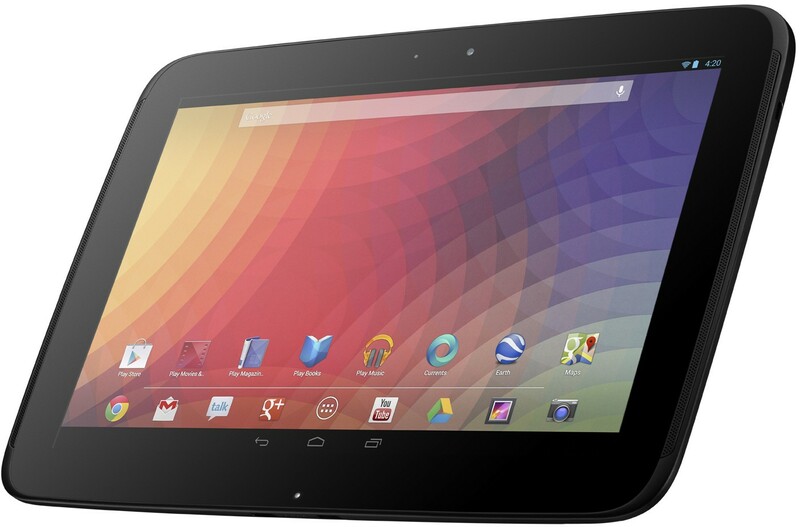 As far as what’s under the hood, the Nexus 10 might take first place with 2GB of RAM and an A15 processor. The screen resolution slightly beats out the iPad 4 at 2560×1600, and although its hard to notice, it has the best display for any tablet of its size. Unlike Apple products, it has a micro HDMI port and a micro USB port which are more compatible with other devices. That allows you to plug it into other electronic devices like external displays to watch videos and view pictures without needing to buy $20 adapter cables. As far as compatibility goes, all of Google’s products from Google Drive and Gmail to Google Earth and Google Maps work seamlessly with the tablet. Battery charging problems have been addressed with the tablet, but upgrades should be made to improve that feature. Since I value performance and compatibility, the Google Nexus 10 is the top tablet on my list, but I plan to holding off on buying it until I am certain that the battery issue won’t ruin my user experience. Any tablets you think should have made the list that I didn’t cover? Let me know in the comments below! Im Totally confused about which tablet i can go for buy..Thanks for sharing Tablets that Fit for Life Style. 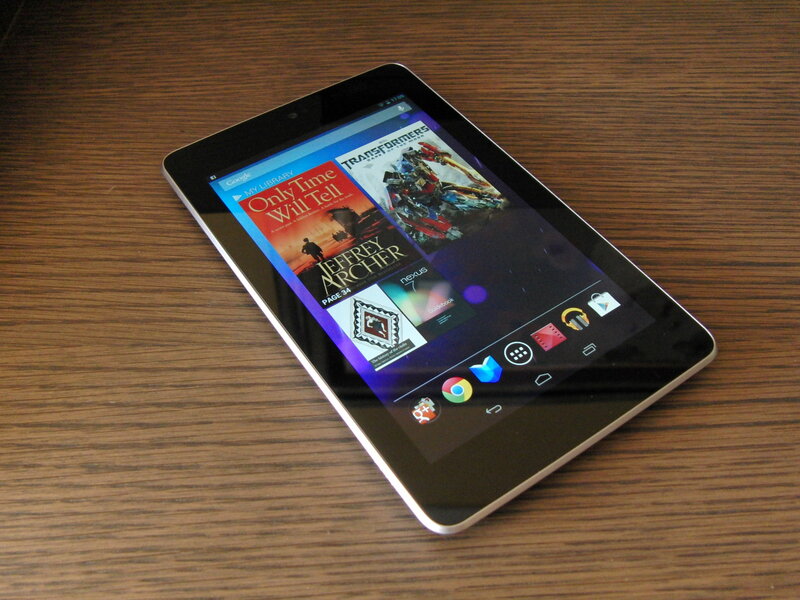 The nexus 7 is the best among all these tablets , the iPad should be an exception though .